It’s natural to want a fresh start for the new year. Every January 1, people want to dismiss bad habits and better themselves. It’s also a great time to take inventory of your life and set realistic goals for the upcoming year. For some people, it could be to save more money or finally go on that vacation, but for caregivers, it can be as simple as taking one day off a month. Family caregivers—caring for an ill or disabled loved one—have a very different set of responsibilities and expectations. Trying to juggle caregiving demands with the demands of your own life can lead to stress, exhaustion, and frustration. But it’s important to remind yourself that you’re doing the best you can, even if you don’t feel like it. For the new year, we’ve made a list of realistic New Year’s Resolutions that caregivers can look at throughout the year. Whether you focus on one or try to do them all, remember that as long as you’re trying, you’re making progress, and ultimately it benefits both you and your loved one. It can be easy to feel the weight of caregiving or the burden of not feeling good enough. Take the time today, right now, to remind yourself that you’re doing your personal best, and everything you are doing is good enough. Schedule enough “me-time”. It’s essential for your physical, mental, and emotional health to take some time just for yourself. You will be a better caregiver because of it. Schedule pampered “me-time”—for real. It can be easy to spend your time-off running errands for yourself or doing chores for your kids. But take the time to truly pamper yourself. Take a nice bubble bath, get a manicure, go buy a latte and read a book in silence. Doing any activity that you love will allow you to come up feeling recharged and focused. Allow yourself to say no when you are asked for something and know that your time cannot make room for it. Your close friends and family will understand that you have a lot on your plate. Allow yourself to say yes when someone offers to help you. Keep a list of simple tasks that friends and family would be able to do for you so that whenever they ask, you always know what you need. Prioritize your own health and wellness. It can be easy to ignore your own doctor’s appointments when focusing on someone else’s, but it’s important to stay up-to-date on all health screening, dental exams, and eye tests. Remember that you are not alone. Consider joining a caregiver support group (online or in person) to meet other that share in your struggles. Focus on the positives. When you’re feeling overcome with burdens or self-critical, just remember how strong and purposeful caregiving has made you, and how it has strengthened the relationship between you and your loved one. Make caregiving fun. 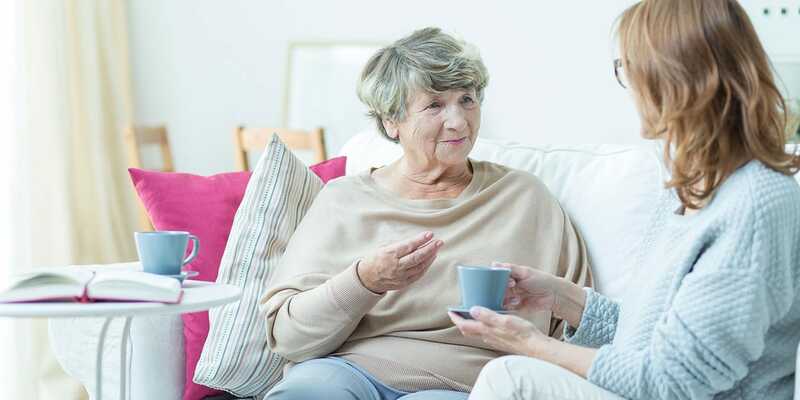 So much of caregiving is the constant and daily demands required to keep your loved one healthy and safe, that you forget to actually spend time with them. Plan a fun activity (baking, a movie) every month to connect with your loved one and remind yourself why you care for them so much. One final resolution for this new year is to know when you need help. It’s important to remind yourself that you are not alone. Hospice of South Texas provides the support you need to help you navigate the role of being a caregiver. We provide resources and volunteers to help take some of the burden and share the care. For questions about caregiver support, contact us at our Victoria office: 361.572.4300 or our Hallettsville office: 361.798.2077.